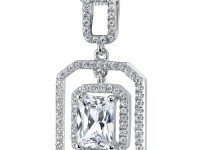 Beautiful rhodium plated 14K White Gold 3 Stone CZ Slide Pendant Necklace. 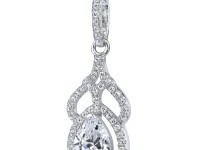 Pendant features high quality, lab created Cubic Zirconia stones in graduated sizes from smallest to largest. 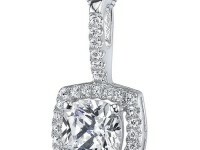 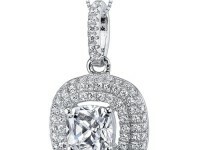 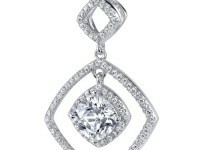 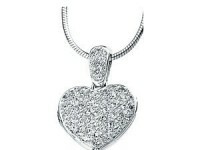 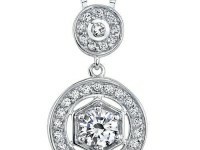 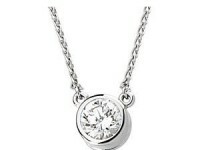 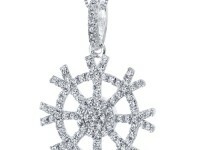 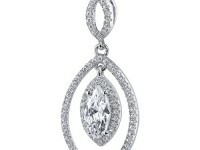 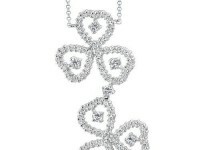 CZ stones range from .025, 0.50 & 0.75 CTW equivalent with a total of approximately 1-1/2 CTW equivalent in this pendant. 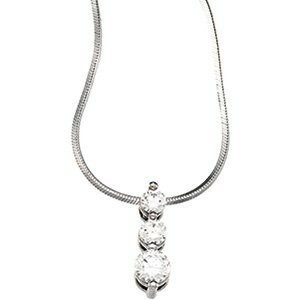 Includes a 18" Diamond Cut Snake Chain. 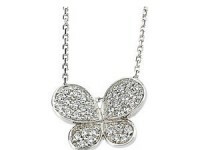 A great dress up necklace for those special evenings out as well as a great gift idea!